Although ‘entity optimisation’ may sound like a buzzword, believe it or not, it was first introduced by Google six years ago in 2013 when they released Hummingbird, a comprehensive overhaul of the core algorithm after updates Penguin and Panda. Hummingbird was largely understood as an SEO game changer not only because it affected all sites across the Internet, but also because it was where entity optimisation and search intent came into play. Prior to Hummingbird, Google launched knowledge graph and rich results featured snippet designed for quicker and more accurate answers to search queries, based on better understanding of entities that users intend to search for. 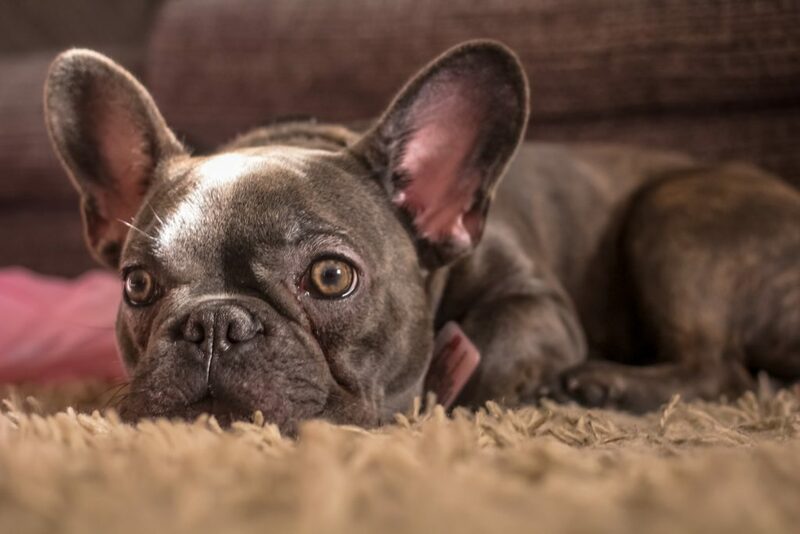 other relevant dog breeds inspired by others’ searching. a collapsible list of frequently asked questions. How does all this information come up, and how does Google generate an informative SERP that makes sense to a human user semantically? Historically SEOs and content creators focused more on keywords and keyword optimisation. However, search engines are frequently abused by black hat SEO techniques like keyword stuffing, resulting in difficulties in identifying the precise content that truly matches user’s search intent. A keyword is basically what users type into search engine, and what content creators and SEOs are trying to optimise the website for. But human users do not intend to search for ‘keywords’ – they’re searching for answers. Questions and answers are constructed with human-understandable entities. An entity can be a specific person, place, organisation, idea, concept or anything else that has a well-refined definition and connections with the rest of the world of entities. 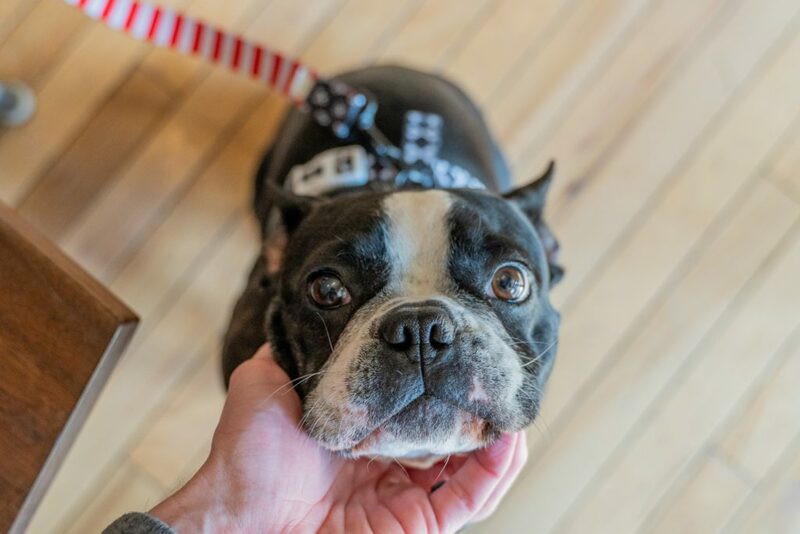 Let’s get back our example of French bulldogs. 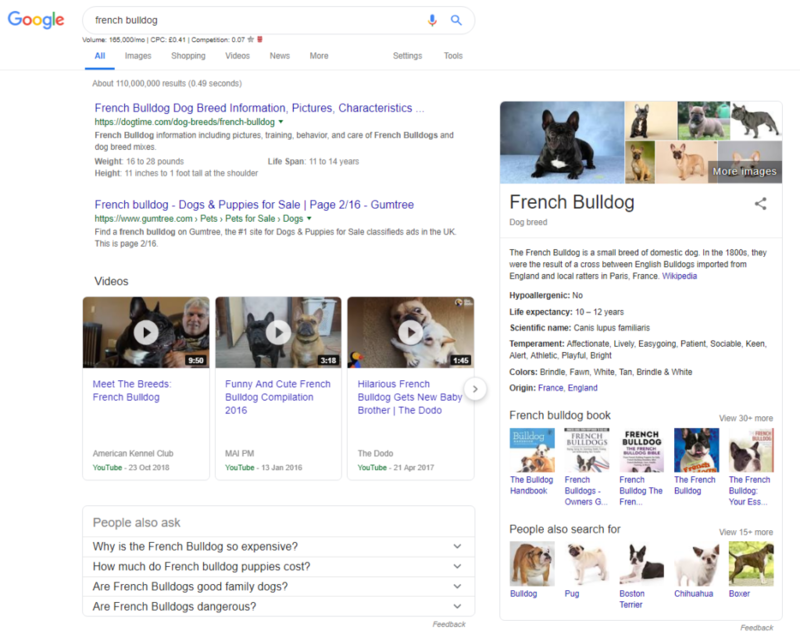 To understand ‘How much does a French bulldog cost’ being a long-tail keyword, this question (or search query if you like), is formed with two basic entities: price and French bulldog. 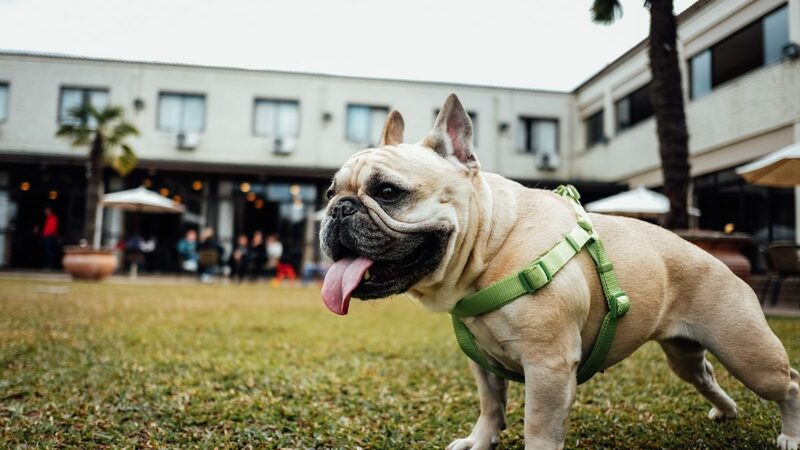 The price here is referred to by the ‘how much’ question, playing a role as a ‘property’ of French bulldog as well. 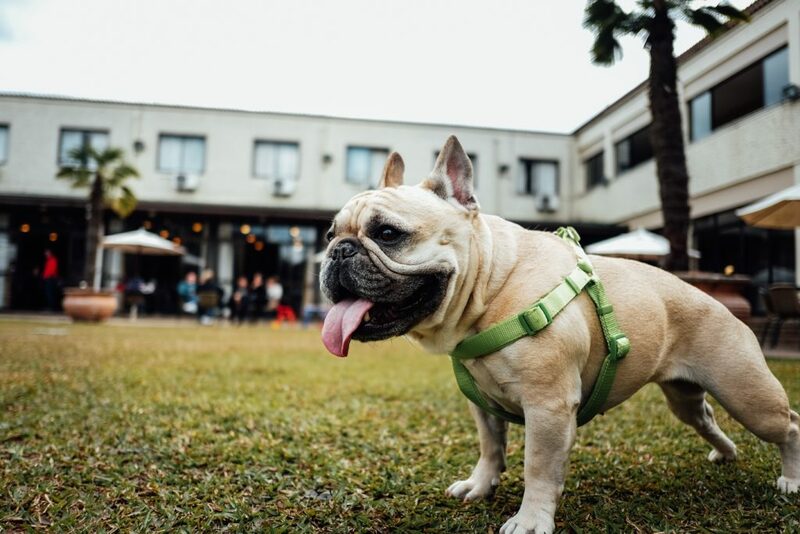 Instead of searching for ‘How much does a French bulldog cost’, from a search intent perspective, people are in fact searching for the value of the property ‘price’ of the desired entity ‘French bulldog’. Knowing this, the search engine is also able to understand that a similar query ‘what is the price of a Frenchie’ refers to the same question and is ready to prepare the same answers to these variants. Semantic search is the future of search and undoubtedly the future of the internet and whole digital world in general. Yet practically, semantic and entity search is more a way of thinking, meaning that the fundamentals of on-page creation and optimisation remain the same, but now we act from a more semantic web and entity perspective. As Danny Sullivan explained, Google is rapidly adopting semantic web technology to evolve from text links to answers, and provide more precise results faster. On this path, Google has introduced knowledge panel, news/video carousel and other rich media search results (featured snippet for instance), and voice search with Google Assistant. Utilising machine learning, Google can sort out thousands of entities and make entity search and more accurate search results possible for people to access and get benefits from. To leverage entity search, SEOs and content creators nowadays should think about keyword optimisation more semantically and strategically. Entity search is coming into play as a bridge between machine-readable queries and human-readable questions. Instead of thinking about the keywords to fit in your content, start to think about what entities people are looking for and more importantly, what is the search intent behind them. To rank for shared intent keywords, try to use synonyms, variants, aliases and closely relevant entities and enhance your content around them as naturally as possible. The idea of entity search is to meet searchers’ satisfaction rather than machines. Google and other search engines are good at differentiating between content that is created and optimised for machines and that which is created for human users. Keyword stuffing and keyword over-optimising are always the worst signals to page ranking – the harder people strive for something, the more difficult to reach it. Keep creating responsible content that solves users’ real problems and answers real-life questions, and Google will pick it up eventually as long as the content is high-quality and relevant enough. In other words, to rank better, write better. Semantic search acquires public knowledge bases such as Wikidata, Wikipedia, Facebook Open Graph, as well as structured data syntax such as RDFa, Microdata and Schema.org, to understand entities and questions, and provide users more precise answers more than just keyword-matched links.